You may recognise Barbara from our Skintervention video. Here, you can learn a little more about Barbara and her sister, Sinead. In 2002, Sinead was enjoying life in Dublin and was extremely close to her sister Barbara who was just two years younger than her. Sinead was full of life and Barbara remembers her as funny, smart, caring and extremely kind. They were sisters and best friends and were loving life, even more so now that they had a new little sister Ellie to play with and spoil. Both Barbara and Sinead knew about skin cancer but never gave it much thought, thinking it wasn’t really something that affected people in Ireland and was something that was much more common in hot, sunny countries like Australia. Neither sister realised that Ireland has one of the highest rates of skin cancer in the world. Sinead first went to her GP when an open wound on the inside of her ankle wouldn’t heal. She was initially diagnosed with an autoimmune disease. However, over the course of the next two years, her condition did not improve and she was eventually diagnosed with melanoma, the most dangerous for of skin cancer. Sinead was diagnosed with melanoma two weeks before her 30th birthday. She died exactly one week after her 31st birthday on the 11th of December 2004. 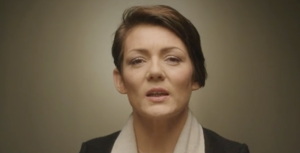 By the time Sinead and her family learnt she had melanoma the cancer had spread to her brain. Three large tumours were removed from Sinead’s brain but unfortunately the cancer was too aggressive and further treatment was not effective. One important way to check your skin is to monitor your moles and freckles for the ABCDE signs of melanoma. Border- The border of an early melanoma tends to be uneven. The edges may be scalloped or notched. Colour-Most healthy moles are all one colour. A mole with a number of different shades of brown, black or tan is a warning sign. Melanomas may also be blue, red or some other colour. Diameter- Melanomas are usually larger in size than the rubber at the top of a pencil (¼ inch or 6mm). Evolving-Any change in shape, colour, size, elevation (height), or any other trait, or a new symptom like bleeding, itching or crusting is a warning sign. 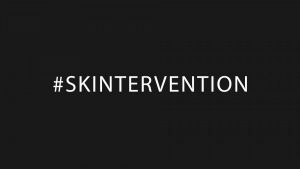 If you know someone who needs a Skintervention, please send them this video. It could save their life.